The Prime Minister will head to Brussels today to discuss her divisive Brexit deal with European Commission president, Jean-Claude Juncker. It will be one of the last opportunities to make changes to the draft withdrawal agreement, which has prompted a series of Ministers to resign, and others to write letters of no-confidence to the 1922 Committee. The talks are taking place ahead of a special EU Brexit summit on Sunday, which European Council president Donald Tusk said was arranged to "finalise and formalise" the Brexit deal. Theresa May is expected to meet Mr Juncker this evening, following confirmation from Downing Street that the government will look at ways of keeping the Irish border open in the agreement. The Prime Minister's official spokesman confirmed that references in last week's draft deal to "alternative arrangements" for the border could involve technical measures of the kind previously promoted as the "maximum facilitation" solution. The draft deal had angered the DUP, who failed to back the government on a number of amendments to its finance bill this week in protest. 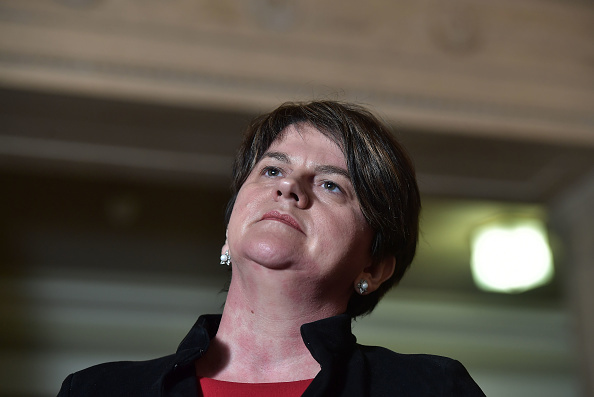 Party leader Arlene Foster, claimed the deal raised "alarm bells", and DUP Brexit spokesman, Sammy Wilson, told talkRADIO he felt it was a "double-cross". DUP deputy leader, Nigel Dodds, said: "The Government will require DUP support to deliver its domestic agenda. We will continue to use our influence for the good of everyone across the United Kingdom."